As I mentioned in a previous post, the make up of the Jewish people today does not speak well for Judaism. If you do a google image search for the word "Jew" what you mostly see are what we call "Black Hat" Jews. Jews that wear a uniform. However, this image of a "Jew" is less than 300 years old. Jews have been around for well over 2,000 years, and yet the literal image we have as Jews is really rather new. This stereotype of a Jew however, is entirely inaccurate. 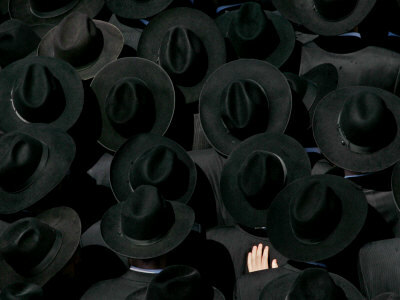 "Black Hat" Jews, are about 7% of the Total Jewish population. Meaning, if you pick a random male Jew in the world, you have a 93% chance, that this person will not be wearing a black hat or jacket, and yet, for many people, the image of a Jew is exactly this type of person. Ok, fine cute, but what's my point? My point is that uniforms are powerful things. Because we see many people wearing the same clothing, or type of clothing, our prejudices, lump them all into a single group. We also assume, that this group is monolithic in one way or another. Most people will assume that all "black hat" Jews have the same philosophy and outlook towards Torah and Judaism. Of course anyone who has ever worn a black hat, knows that this isn't true. Just as nobody would make any assumptions about the people who wear "Nothing" on their head, also, we can't make any assumptions about the people who wear the black hats on their head. Some of you are thinking to yourself, yeah we know all this, so really what is your point? Uniforms are powerful things. 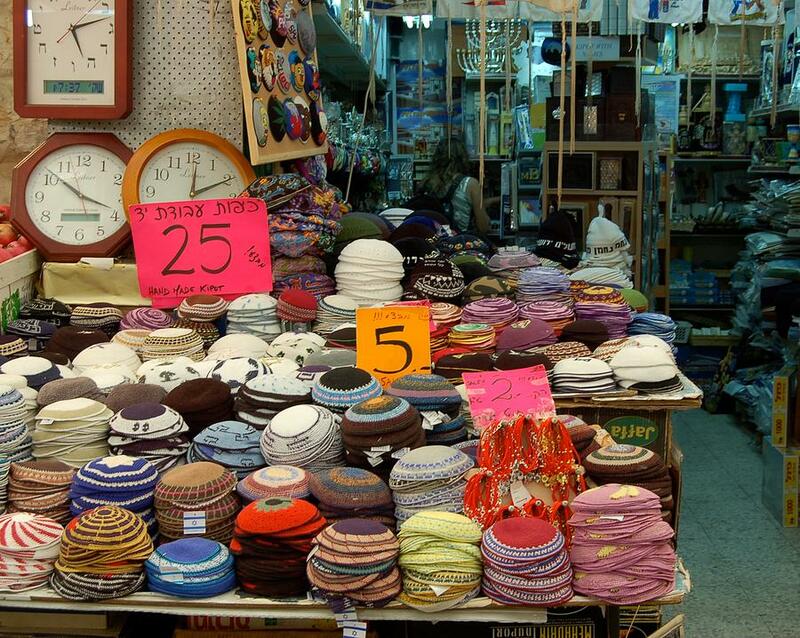 Roughly 1500 years ago, the leaders of the Jewish community in Bavel, tried to put a Uniform onto the Jewish people. However, rather than choosing a particular mode of dress, the leaders of Bavel decided that all Jews needed to follow the same halacha. However, this was not always the case. In the Jerusalem Talmud for example, we have many examples of Rabbis being perfectly accepting of the fact that some Jews in other parts of the country, were willing to behave different, than they behaved in their own area. The most shocking example to Jews today, would likely be that given in both the Jerusalem and Babylonian Talmuds, that the students of Rabbi Yose Hagalil would eat chicken cooked with animal milk. The desire for a halachic "uniform" has waxed and wanes over the various centuries, sometimes it was very important, and other times it was not. During the late middle ages for example, we find that Jews of Italy and Jews of Germany were perfectly happy living very distinct Jewish life styles. On the other hand, during parts of the geonic period, we find some very nasty things said about a certain Hagadah, that until the Cairo geniza was discovered, was assumed to be a hagadah from a Kaarite Sect, but which we now know to be the Hagadah from Eretz Yisrael. This need for Jewish Uniformity, rather than Jewish Unity, has IMO caused the current situation we have. There were times in Jewish history where Jewish Uniformity has saved the Jewish people. However, the Talmud Bavli is very clear, that this desire for Jewish Uniformity, is also what lead indirectly to the destruction of the beit Hamikdash. (-Talmud Bavli, Gittin 55-56) Despite the desire we have for Jewish Uniformity in Halacha, the fact is that today Halachic Jews are very fractured*. I believe, that if we push for a Halachic Minimalism, we can create Unity rather than Uniformity, yet still, we can benefit from the power of Uniforms. The key to this unity, is in a grass roots effort, for everyone to learn and understand what exactly are the minimal halachic requirements. 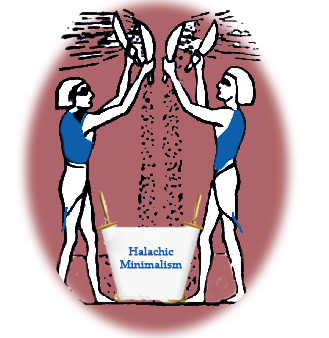 And to then respect and accepts all the different self defined groups that will in the end be created or continued, recognizing that those Jews too, follow at least a Halachic minimal. And not only to accept that "others" behave that way, but also to accept that if put in a less than ideal situation, you too can behave that way. However, it is also important to recognize that his is a very hard and difficult task because, as I stated earlier. Uniforms are powerful things.